The Banemaw event will start on Monday 29th June, and will run for 3 weeks. Your village must have a Stronghold level 4 or higher to see Frost Fang currency and participate in the event. 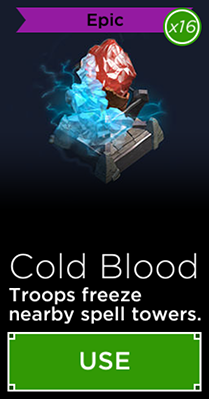 The event introduces a unique currency called Frost Fangs. There will be a Frost Fang tally visible at the top of your village and map screen. Tapping on it will reveal more information. 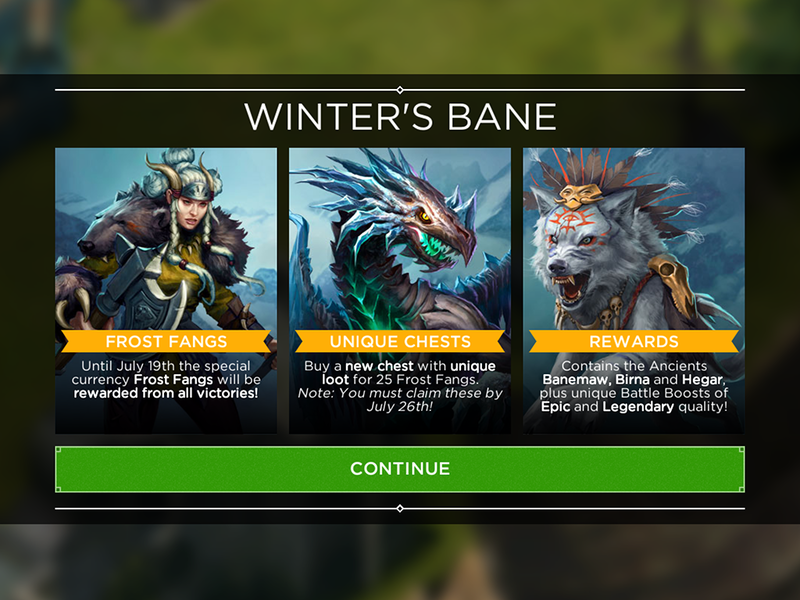 You can acquire Frost Fangs by winning PvP battles (multiplayer and The Arena), and also by completing the new Banemaw's Hunt Campaign available from the map. 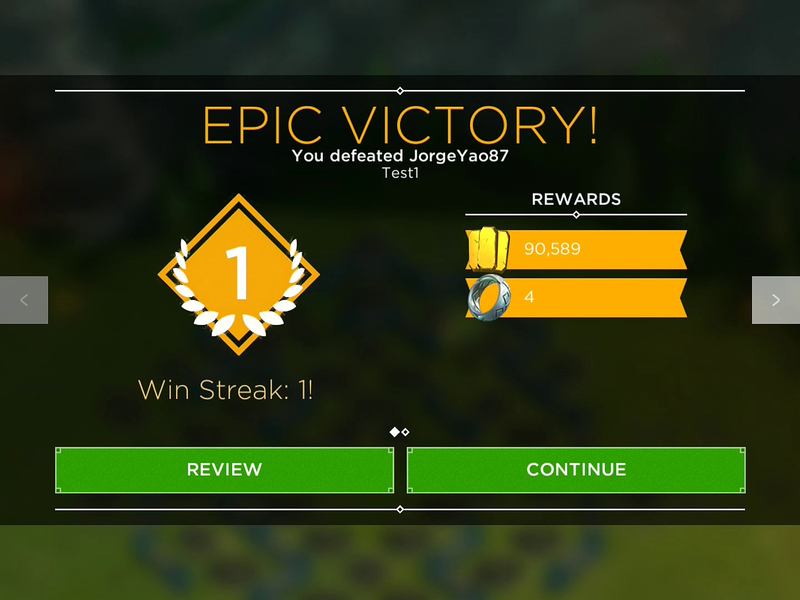 After your victory, you'll first see the regular screen showing how much honor, gold and rings you won, followed by a 2nd screen showing your Frost Fangs. You can toggle between the 2 pages with the left and right arrows on the side of the screen. 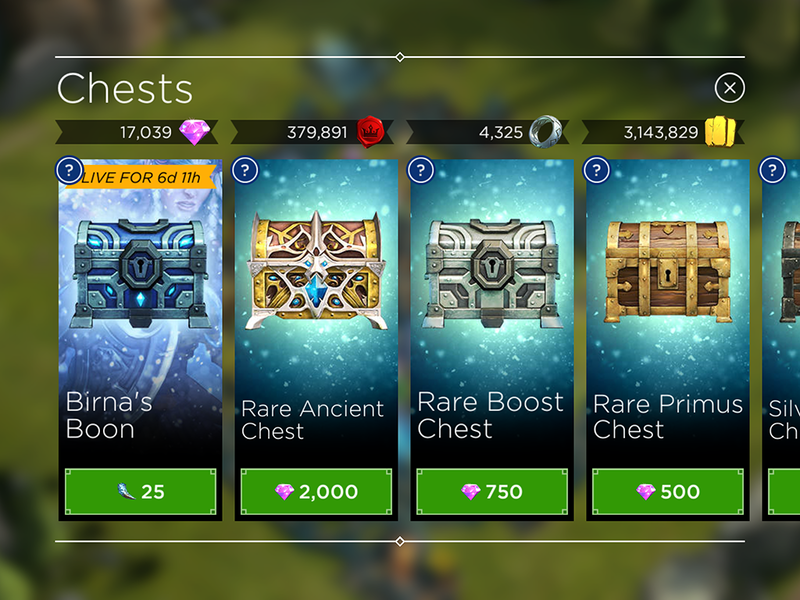 Once you acquire 25 Frost Fangs, you can head on over to "Build > Chests" from your village screen, and purchase a unique chest. These chests will be different on week1, 2 and 3. NOTE: Frost Fangs do not reset each week, but you must spend your Frost Fangs by July 26th. 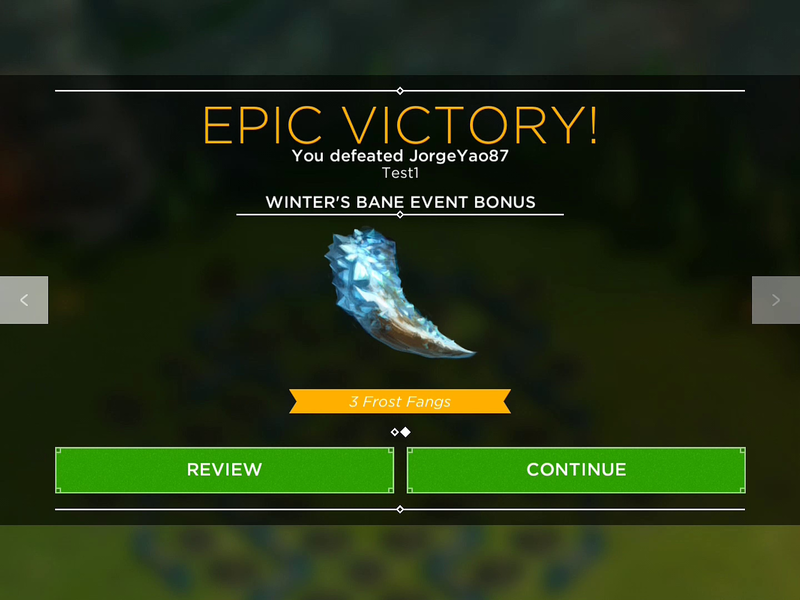 These 2 exclusive Battle Boosts can only be acquired during the Winter's Bane event, so get them while you can! 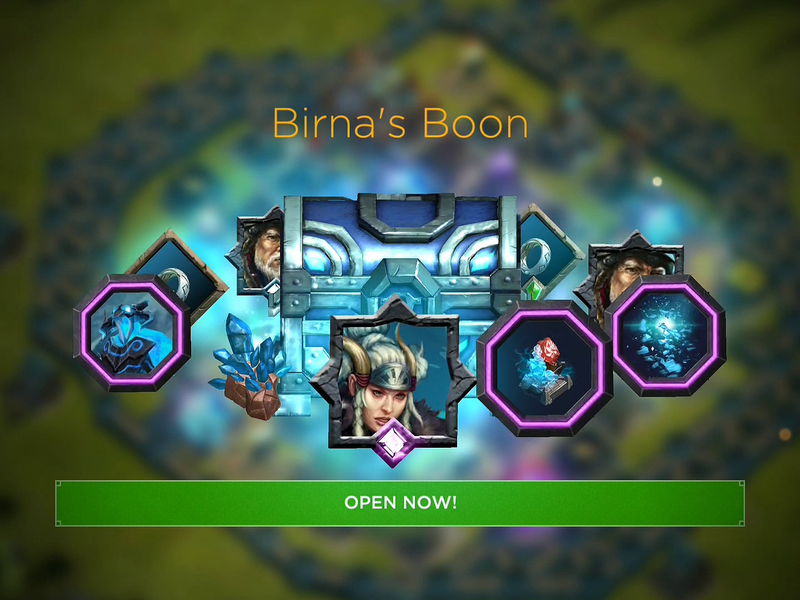 Cold Blood: Epic Boost - friendly units freeze nearby spell towers. This effect is automatic and will trigger whenever one of your troops comes within range of a spell tower. 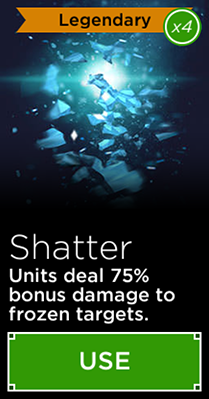 Shatter: Legendary Boost - First time Legendary Boost drop - units deal 75% bonus damage to frozen targets. This effect is automatic, the bonus damage will happen on any frozen target caused by your Ancient's spells. 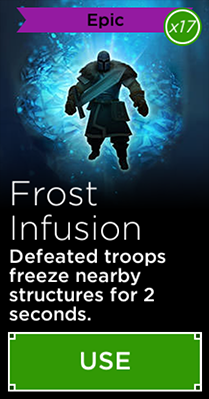 Frost Infusion: Epic Boost - Defeated units freeze nearby structures. 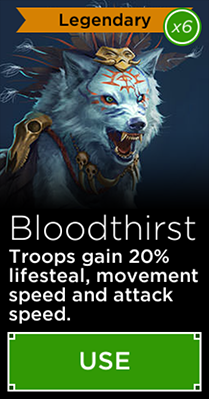 Bloodthirst: Legendary Boost - Units gain 20% lifesteal, movement speed and attack speed.